What do you do first in the morning? Take a shower, go for a jog or brew coffee? Chances are, you have your getting-ready ritual down to a science. For 84% of smartphone owners, that routine consists of using an app — whether for checking the weather, social media or the news. 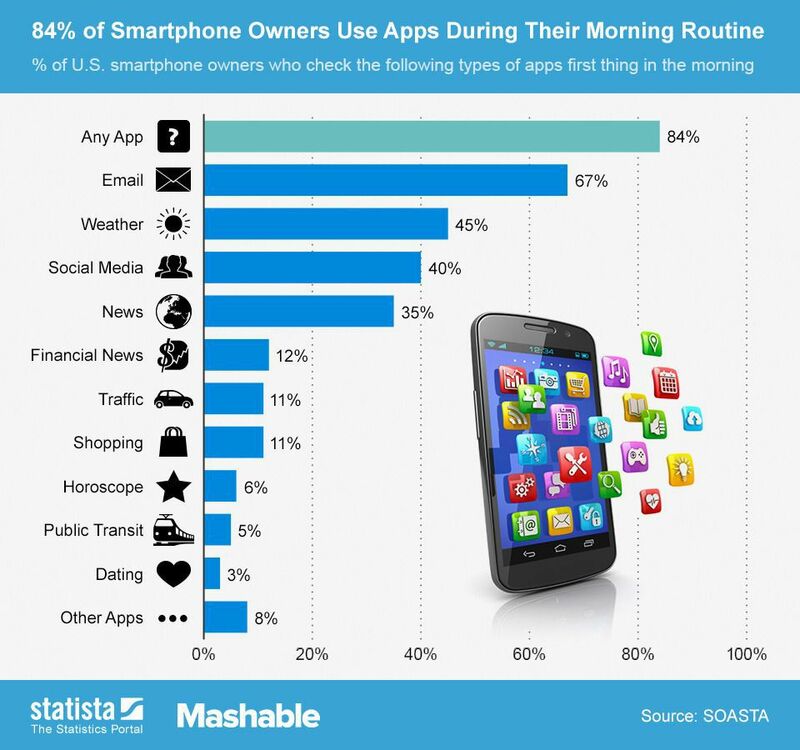 Statista’s chart, which uses SOATSA data based on a random survey of 2,000 Americans, shows the percentage of smartphone users who utilize different types of apps in the morning. The most popular option was checking email.